Running Press Adult, 9780762453801, 144pp. 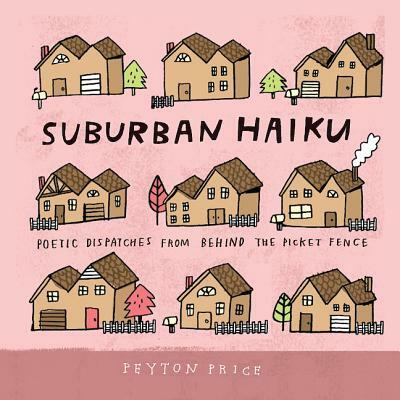 Peyton Price understands the psyche of the suburban mother. Once an ambitious go-getter with a respected career, Price veered off the fast track and into the carpool lane. Wanting what's best for two kids and a husband, Price finds it hard not to keep up with the Joneses-especially when they are living right next door. Yet, unlike other micro-managing mothers, Price does not unwind with a glass of wine, but with haiku. True to form, every haiku is a 17-syllable catharsis-capturing the frustration and elation of daily suburban motherhood. Price's topics, or rather, targets, range from boring PTA meetings and kids' sports to the elusive spa day, and everything in between. Peyton Price still thinks she could have been a contender. Instead, she's living the American dream in suburbia, along with her devoted husband, two above-average children, bonehead dog, uppity cat, six-year-old hermit crab, a tank full of tropical fish that nobody else seems to clean, and whatever is making that skritching sound under the kitchen sink.